A fellow Michigan ALB spy has given us this gem! I am speechless just on the title alone! Who on earth is the target market for this book? Abusers looking for an “out”? Question to the public library with this holding: are child abusers one of your major patron groups that you feel are being under served by the public library? This title, while sad, is too funny. The sequel is “When iPods get asked to be stolen: why hiding your personal property is not fair to a thief”. That reminds me of the joke list of rejected children’s book titles and the one called “Daddy Drinks Because You Cry”. I thought the disabled people one a week or so ago was bad enough. This one had me gasp out loud – I then had to explain why to my colleague who is still gaping like a goldfish! This horrible title needed investigating… The book won the Delta Kappa Gamma Society International Educator’s Award and the Award for Extraordinary Achievement from the Institute of Neuro-Physiological Psychology when it was published in 1987. 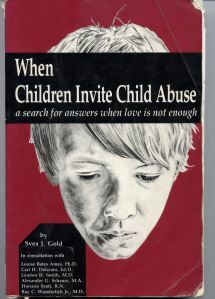 The review from Education Week at the time said, “This guide to recent research in child development, learning disabilities and psychology, nutrition, and metabolism is designed to help parents and teachers detect and treat conditions that cause children to misbehave.” Apparently the point of the book was that badly-behaved children, suffering from a wide variety of conditions underlying their behavior, are more prone to being abused because just “loving them” isn’t enough to modify undesirable behaviors. 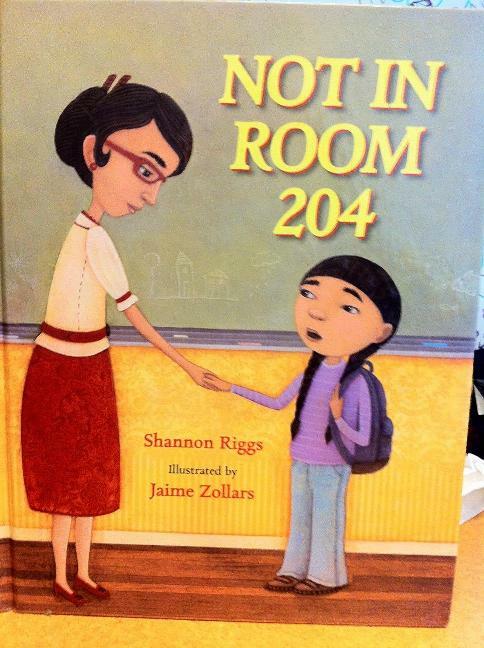 The book suggests treating the underlying conditions to help these children not be abused. It was later reworked into a new book: If Kids Just Came with Instruction Sheets! which also won an award in 1998 from the INPP. Every book has a story! On some level, I do feel better. Thanks for the back story. Where the hell was the editor for this book? I work in social services and my coworkers and I work with victims and perpetrators all the time. I can just imagine tossing this book on the table during a meeting. I would be lynched. And no feeble attempts to reference MJ’s look into the words behind the title would save me. Learn not to JUDGE A BOOK BY ITS COVER and maybe you will learn something! When I started working at my library in 1989, I was also horrified when I first read this title. Discovering that one of our public librarians had written it intrigued me enough to open it. A quick look inside verifies what MJ said. 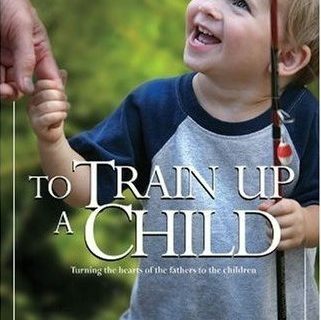 The book is meant to help parents understand difficult children and is not meant in any way to promote child abuse. The fact that it won these awards should make that clear. The title choice is unfortunate, but the author is a highly intelligent, thoughtful retired librarian who is passionate about respectful treatment of children. I guess the old adage of you can’t judge a book by the cover is appropriate! I still have issues with currency however, for my situation in a medium public library. This reminds me of my first encounter with unfortunate LC subject headings in my public library job fresh out of grad school. 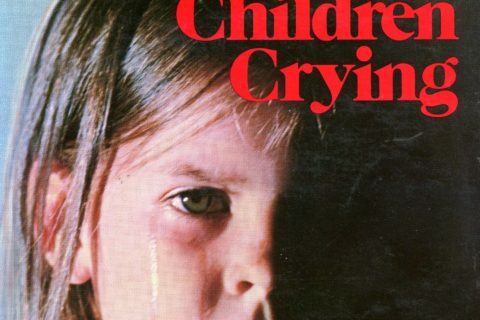 I found a heading CHILD ABUSE-INSTRUCTION MANUALS and was horrified. It was for a book on how to lead workshops to help folks recovering from abuse or something like that but the initial shock was similar to this book title you found. As a cataloger, your story makes me cringe. I hope we don’t have something that misleading in our catalog. Definitely not unserved in my area, they come in to use the Internet terminals every day. Clever children will invite abuse so that they can grow up and write a Miserylit memoir and make $$$$$$$$$$$$. (That’swhy they say ‘wicked’ all the time). my god. that book is WRONG! HAHA! I just weeded this very book. My jaw was on the floor from the title.